IT Cosmetics has recently launched two new products housed in beautiful iridescent packaging. First we have the Miracle Water, which is a 3-in-1 Tonic ($48cad for 250ml) and then we have the Secret Sauce, an anti-aging moisturizer ($88cad for 60ml). 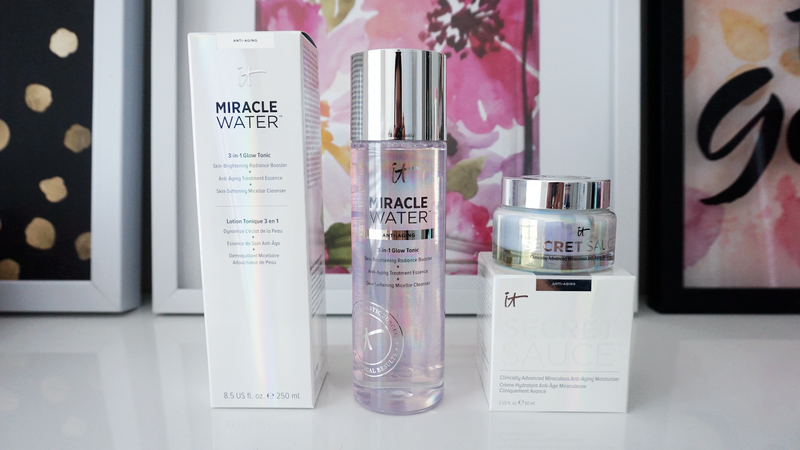 The Miracle Water as mentioned above is a 3-in-1 Tonic, which is a Skin-Brightening Radiance Booster, Anti-Aging Treatment Essence and a Skin-Softening Micellar Cleanser all in one. It contains Radiance-boosting tonic to instantly brighten and hydrate your skin while purifying it. 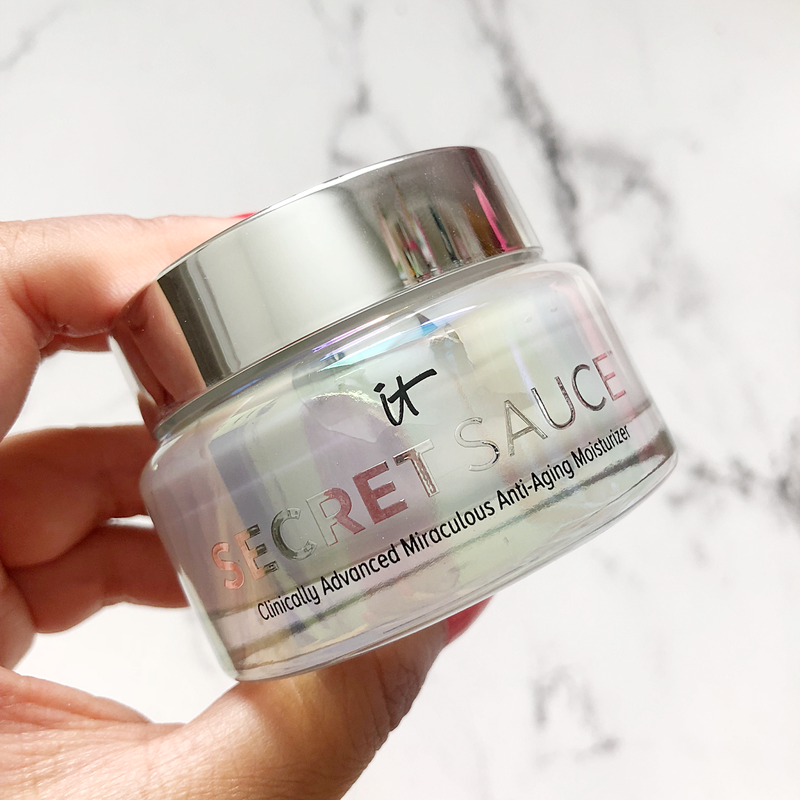 The Secret Sauce Fermented Complex deeply absorbs for a powerful anti-aging result that you can see immediately. It also contains Drops of Light Technology Concentrate, diamond powder, vitamin C and licorice root for youthful looking skin that makes you look like you are absolutely glowing from within. Personally, I like to use this as a Radiance Booster/Treatment Essence vs. as a Micellar Cleanser as it does leave behind product that you can feel on the face. 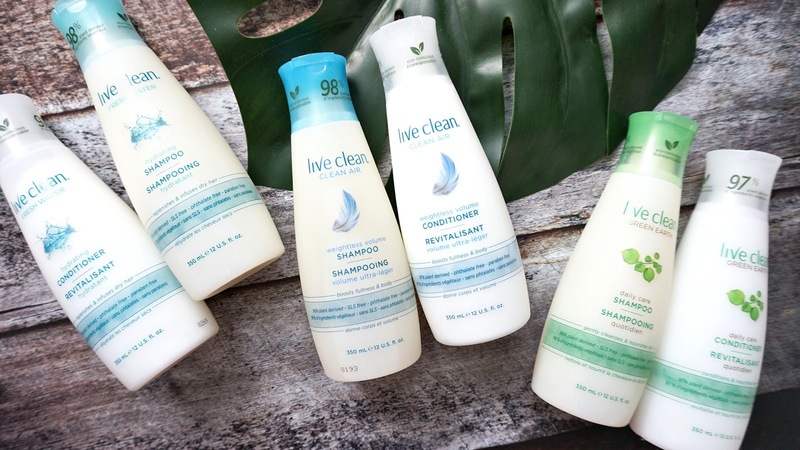 Typically in Micellar Waters, I prefer something leaving the skin absolutely squeaky clean which is why I typically avoid oil based cleansers as well because I just like it when my face feels weightless afterwards if that makes sense. However, using it after cleansing my face as an essence made me feel all sorts of wonderful. It helped control the oil production on my face and also it made my skin feel more radiant and plump. I also felt like I regained some color to my face, like you know that "after the facial at a spa" look? 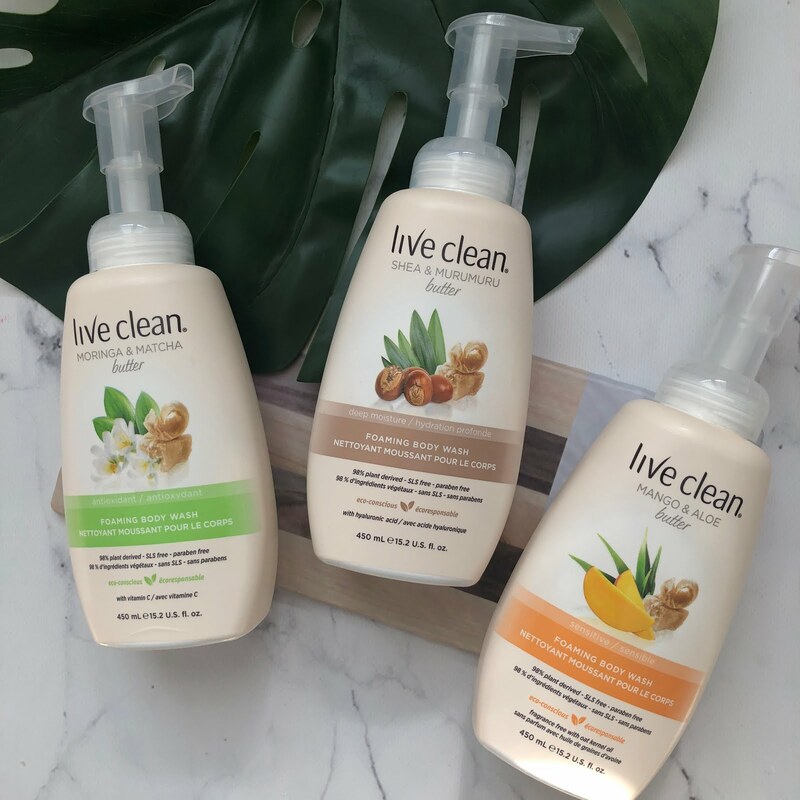 I really enjoyed this product and will continue using it. Above, we have the Secret Sauce, Anti-Aging Moisturizer which works to instantly hydrate and transform your skin. Like the above, it contains the Secret Sauce Fermented Complex, Drops of Light Technology, diamond powder, vitamin C and licorice root. 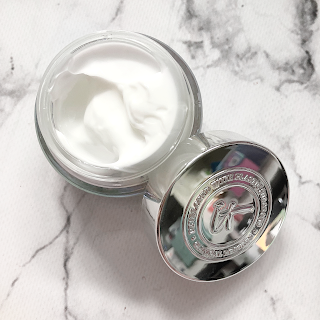 In addition, it contains collagen, peptides and hyaluronic acid (my favorite) to really help with the hydration and overall youthful plump-ness of the skin. This skin appears to be thick as you can see from the jar, but it does absorb rather quickly on the face. I like to apply this at night before bed and just let it do its magic overnight while I'm sleeping. It is a bit rich as a day cream as I wear make-up so as a night-cream it's perfection. My skin looked radiant, hydrated and I even got compliments on how my skin looked very good. I do highly suggest purchasing these two products!